This week Pastor Daniel talks with Pastor David Guzik, Calvary Chapel, Santa Barbara, CA author of Enduring Word Bible Commentary, which contains written commentary on the entire Bible. David talks about the benefits of studying the word of God and the impact it has had on his life. 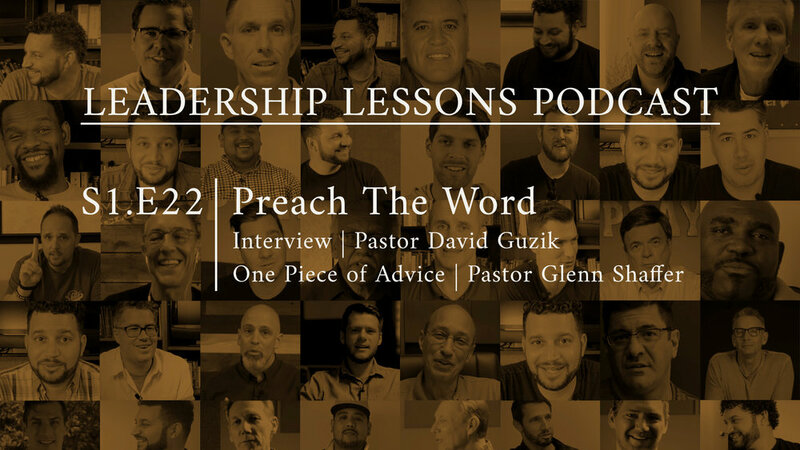 This is a refreshingly candid talk about the realities of what it’s like to teach God’s word in season and out of season. “We’re talking about, through both personal study and the power of the preached Word, Jesus Christ coming to his people and those who will become His people through His word.” What is Biblical preaching? What about topical teaching? What is his process for preparing to teach a Bible message? What study tools does he recommend? This is a workshop on expository teaching from one of the best. Follow David Guzik at enduringword.com, on Facebook and Instagram. In this week’s One Piece of Advice, Pastor Glenn Shaffer, Claremore, OK, shares his advice on having a passion for prayer.